We don’t have to look far to see the incredible potential of college students. Even though only one percent of the world’s population are collegians, what a powerful one percent they are! This small sliver of humanity is, and will be, the leader of every facet of society. Each country sends their best and brightest to the university for education and training. Focusing our evangelistic and multiplication efforts on this one percent is a very strategic way to expand the Kingdom of God and fulfill the Great Commission. Almost one fourth of the world’s college students reside in North America and they represent the most reachable, recruitable, trainable, and sendable category of persons on the planet. There is a growing openness among college students world wide toward the gospel. Being a world and current events buff, I’m always clipping articles in newspapers about student protests and rallies in other nations. My observation is that students are more open than ever to the West, to new ideas and technology, to philosophies and beliefs that are different from their ancestors. Who and what will fill that gap? Will it be other world religions, cults, secularism, or the lifechanging gospel of Jesus Christ? We’re living in an amazing period of history, and as I travel to different countries, students want to meet Westerners. They want to learn English, and listen to the personal, political and spiritual ideas we present. Never before has God opened the doors and hearts of so many students world-wide to allow English speaking Christians from North America to have impact. This unprecedented opportunity for sharing the gospel with students globally also brings an undeniable obligation. We have been blessed. Why? To be a blessing to others! 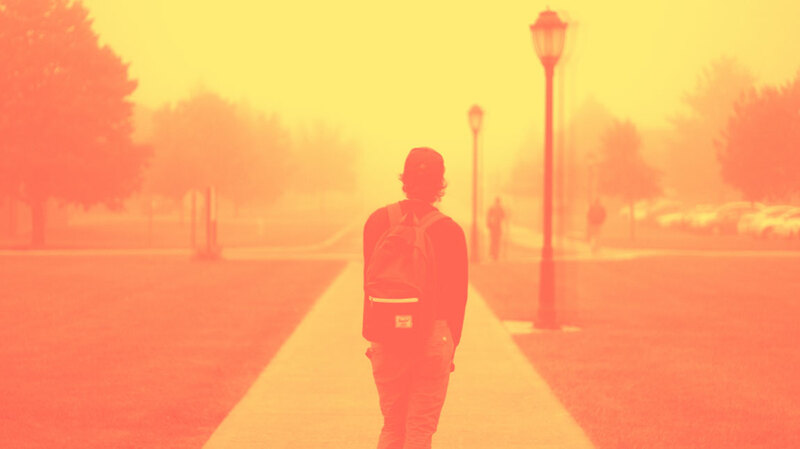 Raw idealism, unrestrained aspirations, and the belief that God may just be big enough to pull off what He says He will are in the hearts of today’s college students. Before they get out into the so called “real world” and have their godly hopes and passions snuffed out, we need to prepare them to be God’s kind of leaders. Now, I’m not assuming that the listeners at this school were exclusively students. Paul picked this location not only for it’s availability, but for it’s strategic location as well. He realized that to set up shop in one of the main learning centers of the great city of Ephesus was going to produce not only addition, but multiplication. Many of these students he reasoned with caught the vision and worked with Paul to spread the gospel throughout Asia. The apostle’s investment during those twenty one months paid off. He had mobilized these students to reach the then known world! Wherever missionaries went throughout the centuries, they sought to win the students in that locale. Many times, as Christian groups started ministries in a certain country, they would set up hospitals and schools. In the 1500’s, for example, it was the Society of the Jesuits who founded a chain of universities from Ireland to Japan as a means to reach the world. We’ve strayed just a bit since then, haven’t we?